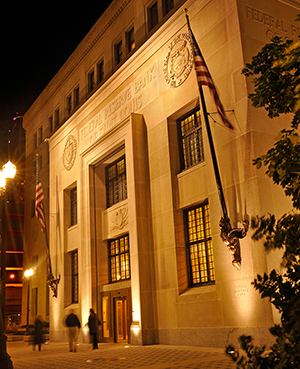 The Federal Reserve Bank of St. Louis was established in 1914, after the creation of the Federal Reserve System in 1913. The Eighth Federal Reserve District is headquartered in St. Louis and has branches in Little Rock, Ark., Louisville, Ky., and Memphis, Tenn. The District includes all of Arkansas and portions of six other states: Missouri, Mississippi, Tennessee, Kentucky, Indiana and Illinois. The St. Louis Bank serves most of eastern Missouri and southern Illinois. We promote stable prices and economic growth. We foster a sound financial system. We provide payment services to financial institutions. We support the U.S. Treasury's financial operations. We advance economic knowledge, community development and fair access to credit.